The largest and most magnificent mosque in Brunei is known locally as the Kiarong Mosque ( Jame' Asr Hassanil Bolkiah Mosque ). 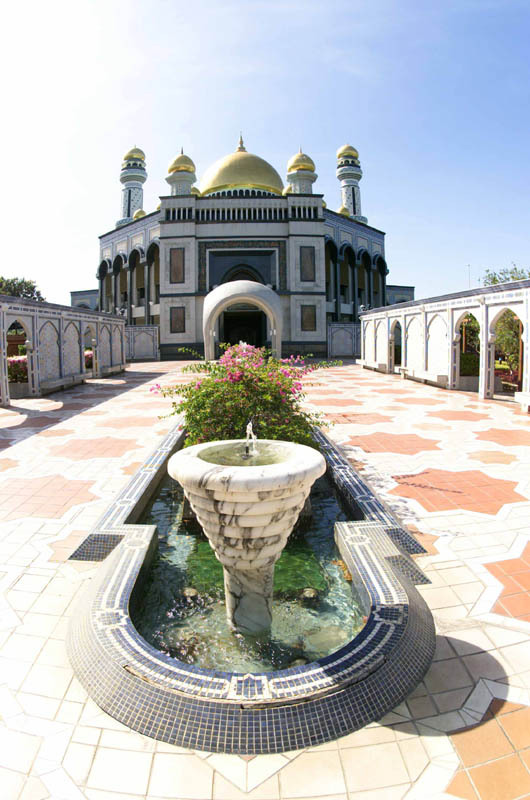 It was built to commemorate the 25th anniversary of the Sultan Hassanal Bolikiah's reign. Marble stone lines its interior, tile mosaics cover its exterior with its minarets and dome crowned with 22-carat gold.